Contact Tarnya to book a strategic planning meeting for your Online Marketing. We offer a range of services which we will tailor to your particular business. We are also happy to train and offer technical support if you want to implement the marketing strategy yourself. Honest, basic SEO services empowering small business. Collect more high-quality leads from your website. Do you have pages on your website that are getting visitors but not many of them are contacting you? For most small business over 70% of visitors abandon the website and never return. Our Starter Marketing Package is designed to turn some of those abandoning visitors into subscribers and customers. The creation, set up and configuring of sign-up forms with Hello Bar to collect visitors on your top 2 landing pages. Why are reviews important for your business? Which builder would you call first based on these reviews? Notice it is the builder with the most positive review that is listed first. Whose website would you look at first? It’s a matter of quantity and quality – the more 5 star reviews you have the less impact an occasional negative review makes. Google favours local businesses with more reviews. The review funnel – “funnels” your clients to the Google and/or Facebook where reviews are an important part of your online presence. Once there it shows them how to leave a review on each site and automates the process of leaving a review. Ready to start getting Reviews from your customers? The review funnel process is an ongoing automated review collection system. The set-up fee for the review funnel service is $200 fee with a connection to either Google My Business Page or Facebook Reviews. (Does not include Facebook or Google My Business set-up). It includes integration with your website. Monthly fee thereafter: $25 + GST a month. Ongoing email outreach to your customer list* $30 a month. *Ongoing email outreach details: When reaching out to your clients, we take the first batch of clients, typically clients from the last year or so, and spread that mailing out over the first 30 days. After the first 30 days, we reach out to new clients as you submit them. If a client submits a review or even clicks on the email link and chooses not to leave a review, they will be removed from the funnel and they will not be asked for a review again. Should I publish the reviews people leave on Google My Business or Facebook on my website? I do not recommend re-publishing the reviews your customers leave on external sites on your own website or on the review landing page. This creates duplicate content and will dilute the reviews. 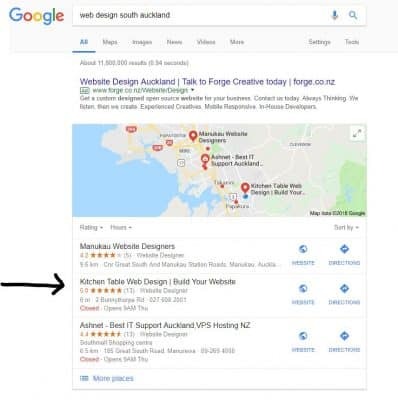 Having unique reviews on Google My Business is very valuable for your Local SEO. I suggest that add reviews on your website from customers who have not reviewed you on external sites, for example, if a customer emails you expressing appreciation for your service – ask them if they are happy to have those words published. Reach Local Customers with your Google My Business Page. 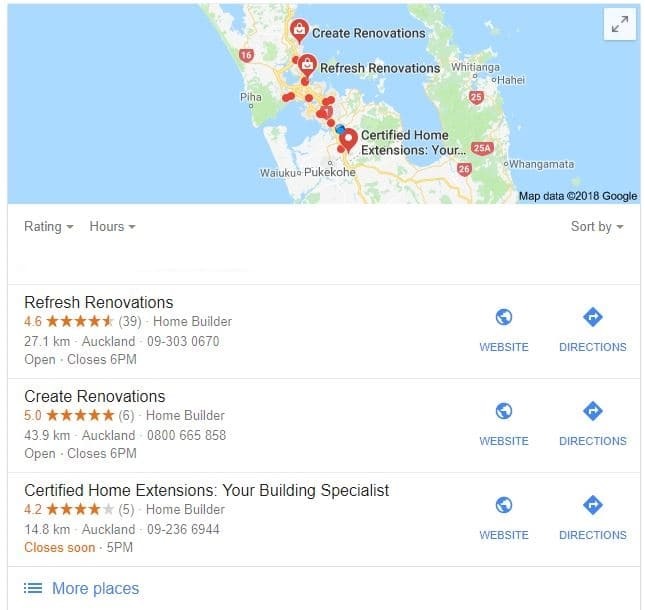 If you a Small Business serving a local area then it is essential to set up and verify Google My Business (GMB) Listing. You can list details about your business including your address and phone number as well as add regular updates/posts. Be careful to use the exact same address on your website. Search Google Maps, find the location of your business and use the address as it recorded in Google Maps on all listings for your business online. Google prepares a knowledge panel from the information you provide as well as other data collected around the web. 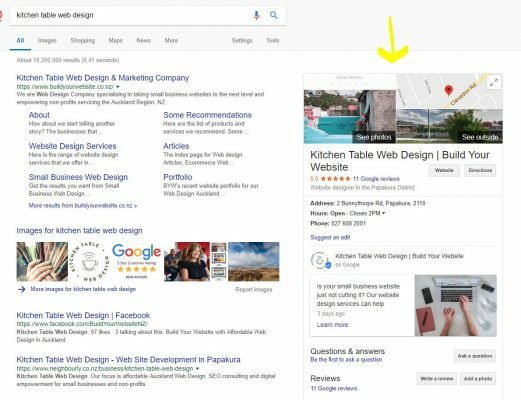 Examples of information that Google gathers includes information from your website, listings in other business directories and social media. They include factors like online reviews on third party websites eg Facebook, Yelp, NoCowboys etc. As well as customer provided content such as an FAQ section and reviews. It is important to stay up to date with the latest changes on Google My Business. Complete all your profile. That information is important for your potential customers. Did you know that other people can suggest an edit to your GMB listing? That is one of the reasons it is important to check in regularly. You should receive an email to approve edits. You can add regular updates to your GMB listing including an image and a call to action. GMB posts are important and affect your ranking in local search. Every now and again add some new photos to your listing. You can also add short videos. Google encourages business owners to ask customers for reviews. Online reviews show on your knowledge panel and in search results. Those reviews do affect how often people will click through to your website and potential customers read them. 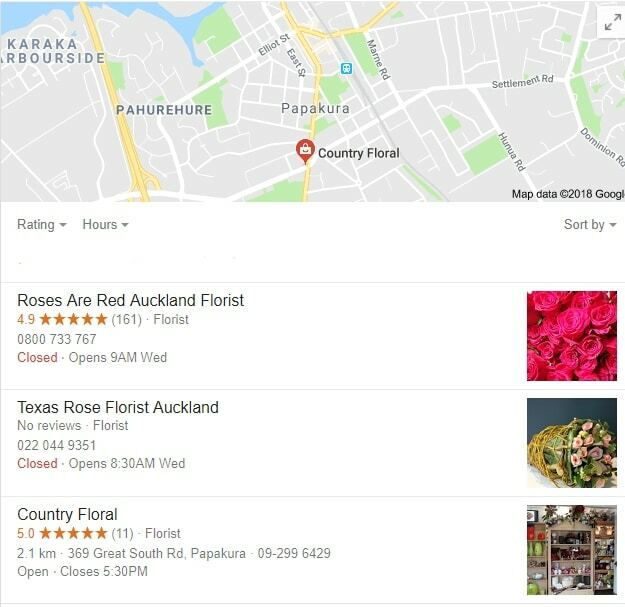 When someone searches for a local business, Google often shows above the general organic results a “3-pack” of local businesses with a map. Moz: How to Optimize your GMB listing. Twice weekly updates to your Facebook Page. If it is important to your business to engage with your customers and potential customers through Facebook, then we provide an update service. We also monitor and reply to any responses. And ongoing Weekly Posts to your Google My Business Page. One-off Set up fee $500 + GST then $75 + GST a month thereafter.